Kenneth Cole, the men's and women's footwear and apparel brand, has recently partnered with True Fit, a data-driven personalization tool, to help it get to better know its customers — both direct and wholesale — and deliver a personalized shopping experience. 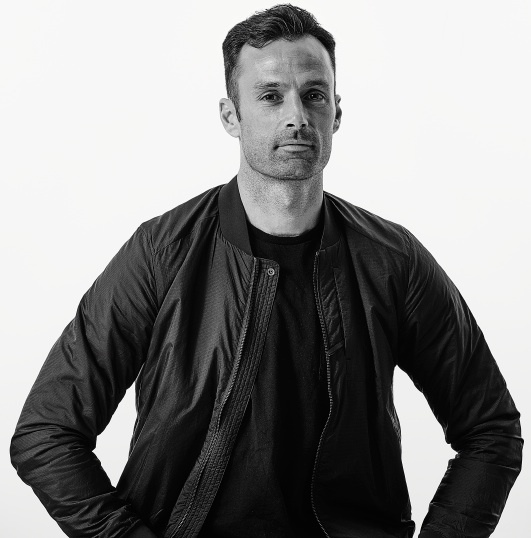 In this interview with TJ Papp, vice president of digital and e-commerce at Kenneth Cole, he discusses how the integrated use of data is helping the fashion brand deliver more personalized shopping experiences for consumers, ultimately resulting in increased conversions and loyalty. Total Retail: Why does Kenneth Cole believe it's important to personalize its customers’ experiences? TJ Papp: The customer today expects more. They expect an elevated experience with compelling product choices and with services delivered faster and more personal. At Kenneth Cole, we're fueled by the desire to know the customer better so that we may serve them a better personalized one-to-one experience at scale. Driving one-to-one personalization at scale requires a hyperfocused strategy that includes listening to the customer’s needs, removing the pain points, and ensuring each customer has a high level of confidence to purchase from Kenneth Cole. By delivering each customer a personalized experience, we provide a more enriched experience that elevates, inspires and connects. TR: What are the challenges in integrating customer data across the company's wholesale and direct-to-consumer businesses? TJP: Our digital transformation has opened us up to huge opportunities to create solutions previously overlooked using data as the center point. We're still in the early stages, however, we're confident that increased consumer data is the mechanism that will allow our consumer direct offense to be more powerful, more connected, and overall deliver a smarter organization. At Kenneth Cole, the consumer direct team is the internal case study realizing how we utilize customer data as an asset to create value in our channel of distribution. TR: How has working with True Fit helped Kenneth Cole to overcome those challenges and enable it to give its customers a personalized experience? TJP: Our partnership with True Fit has allowed Kenneth Cole to gain strategic insights about both our industry and customer trends. This data has helped the brand figure out which customer segments to pursue, which product lines to invest in, and what sizes and colors resonate most with our customer. This focused approach enables the Kenneth Cole brand and products to connect with customers in a new and more powerful way. TR: What types of data is Kenneth Cole analyzing most closely to improve performance, from marketing to merchandising to product design? TJP: In order to improve performance, boost efficiency and deliver a personalized approach, Kenneth Cole is focusing on three critical components. The first is an integrated customer data platform, knowing what size, color, category the customer has shopped before. The second is a values-based catalog where we show the customer a personalized catalog of product and content that will appeal to them. The third is to offer optimization where we match offers and items the customer might like, delivered with speed and scale. TR: Can you provide an example or two of how Kenneth Cole is using True Fit's solution to personalize the customer experience? TJP: By leveraging True Fit’s solution(s) we have elevated our dot-com customer experience. Based on the data, we're now able to curate the best products and stories for each customer in a relevant and timely manner. This customer knowledge is then activated to drive a cross-functional approach to problem solving, improving our overall interaction with the customer. Finally, we've accelerated our communication plans using a customer-led insight approach which has proven to significantly increase acquisition, conversion and retention. TR: What business benefits has Kenneth Cole realized since it began working with True Fit? TJP: Gathering strong data on the Kenneth Cole customer has made it easier and more efficient for us to optimize revenue and conversion opportunities at scale. For example, we've been able to enforce better inventory management, resulting in less risk, more agility and overall more optimized revenue. With good customer data and our internal predictive analytics capability, we're able to be smarter about buying decisions and avoid the kinds of assumptions that lead to excess inventory, overdiscounting and profit shortfalls.